FILMS! By this time, I think, I might have seen Hundreds or I should say Thousands of films. Films have made an enormous impact on the Indian scene and the public at large. Of course not to leave of films and the world audiences, be it Western, European, Hollywood, Chinese, Japanese. The audiences have enjoyed to the fullest and in return they have encouraged the whole film industry to what it is now. Be it the stories, music, acting, dressing, locations, photography, the technicality and the whole performance of the ART. People got what they wanted, they expected more and they got it, they wanted new things and accordingly they were rendered. While we see a movie it is observed, how the audience respond; they get totally engrossed in the film and they become indentified with it. We see them silently watching, crying, laughing, screaming and whistling. It shows how much it is appealing to them. It shows that they have approved. It shows that everything has come right. It is they who judge and give the verdict, be it a colossal, super star cast or an ambitious directorial venture. Films of all times have been made for the audiences taste; if they have not; they have turned to be flops. A lot can be written only on this particular subject. 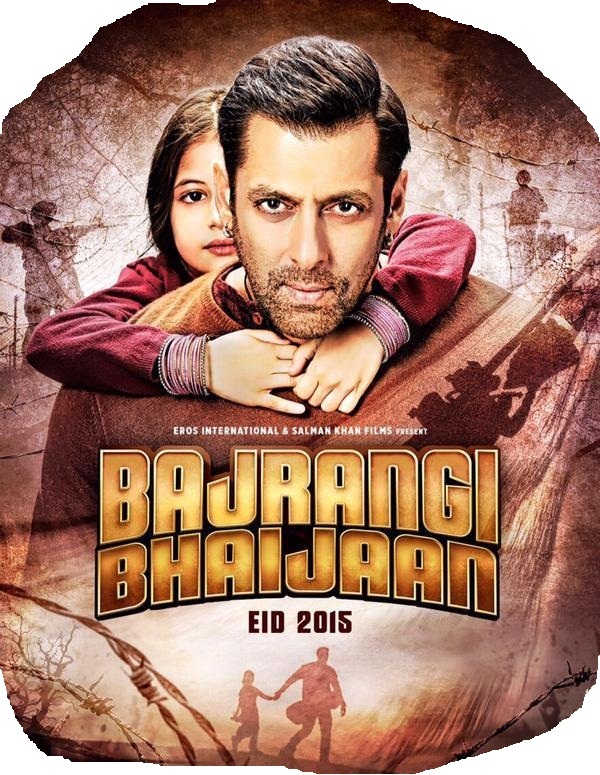 “Bajarangi Bhaijaan” is a very simple story line, which can be told in few sentences. Bajarangi is another name to Hanuman, the monkey God of the Hindus and Bhaijaan is the Urdu version to address brotherhood by the Muslims. Let me warn myself; I am not writing a review of the movie. The other day I went to see the movie with my family and was wonder stuck. From beginning till the end there was screaming and whistling, I had never experienced such applause. There was continuous screaming and a sense of approval as the movie proceeded. Even my children and I also at one or two scenes screamed. I had tears at some touching sequences. I have seen movies of stars – Dilipkumar, Dev Anand, Rajendra Kumar,Raj Kapoor, Shammi Kapoor, Feroz Khan, Rajesh Khanna , Amitabh Bachaan, Waheeda Rehman, Hema Malini, Sridevi, Helen, and the latest Hrithik Roshan to Shahid Kapoor, Madhuri Dixit, Raveena Tandon to Deepika Padukone,Katrina Kaif,Mallaika Arora in which, every time they appeared to sing a song or dance on the tunes there used to be great applause. There used to be not only screaming and whistling but also breaking of bottles and tea cups. Especially the songs and scenes after the interval would be full of breaking of the bottles and tea cups which they would have brought from the tea stall at the theatre. But that was at certain intervals and time gaps. 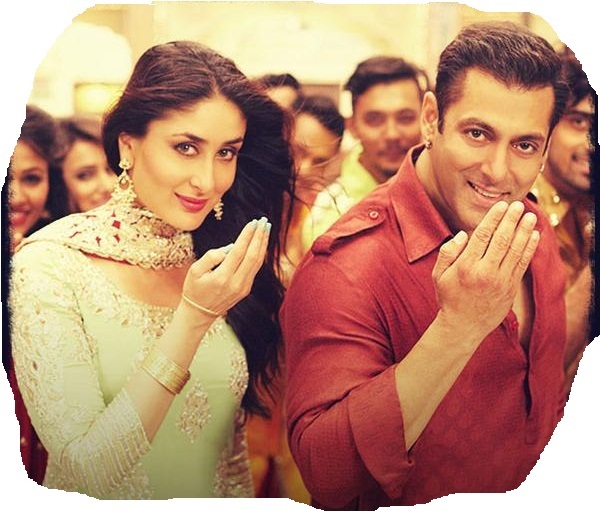 The account of the applause and screams and whistles during the running of the movie “Bajarangi Bhaijaan” is to be adored, adorned and admired. Every time Bajarangi (Salman the hero) or the child raised their hands and joined their palms as a salutation or ‘Namaskar’ what is called by any Indian. The rising of the right hand and putting it inverted to the forehead as a salutation or ‘Addab’ as done by any Muslim. The salutation to Hanuman the ‘Monkey-God’ and also to live monkeys whenever there was a chance to see them. Whenever a line of dialogue in appreciation of Hindu & Muslim community. We feel in the audience there are guys who are seeing the movie for the second time or the nth time, who knows; the reaction much before the action itself is the proof. The finding of the six year old speech impaired child’s caste, creed, race, parents, place of dwelling and at last the country makes bhola (innocent, guilt free, angelic) Salman to bring the innocent child to Pakistan from India where she was lost. It makes a deep sense of thought in which we live and lead our life but actually would not want to continue in the same process of thought. We are able to give scope for other thoughts for true love and even for people to be our own, whom we have considered as others. Cohesion is what Humanity wants. The story questions and as well as answers the questions. The Screen-Play is stupendous, which is the major reason for the success of the movie. I can even predict an award for that. Pats! To Shri K.V. Vijayendra Prasad, who has also scripted the movie “Bahubali”. 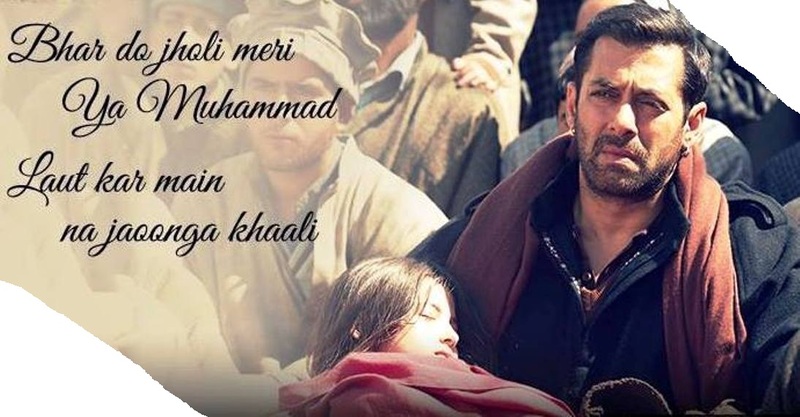 A great Namaskar to him and the director Kabir Khan. The movie ends in between the fencing of the India and Pakistan border, what they call it “No Man’s Land”. Salman hugs the child and throws her into the sky from his arms in rejoice. In the rejoicing we feel the Border between the two countries is erased. Applause !!!!!!!!! This entry was posted in Films and tagged Bollywood, Border, Hindi Film Industry, India, Kareena Kapoor, Pakistan, Salman Khan. I have seen my discussions about the movie here in Pakistan. After reading you article I am willing to see the movie soon. Very well written and timely piece …, kudos. Hats off to Bajrangi Bhaijaan.